I got to visit the “Mile High City” of Denver, Colorado last year for a brief television appearance, but never got to really explore. Luckily, I was invited back by The Art, a Hotel this year to experience Denver in all of its glory! The Art, A Hotel is a true gem of a hotel, located in downtown Denver. Once you enter the lower level lobby, every corner you turn, you experience a unique piece of ART. Even in the elevators, they have different Art videos playing. 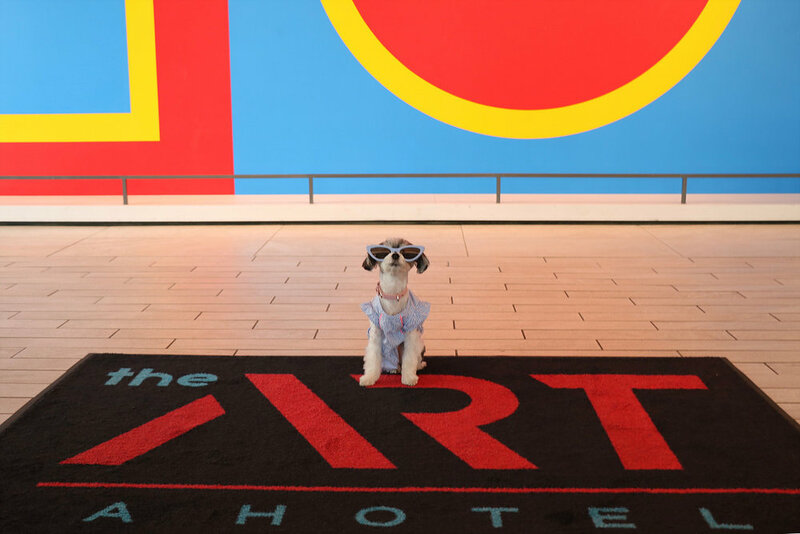 The ART, a hotel is a luxury hotel with a contemporary vibe and oh yah, dog friendly! 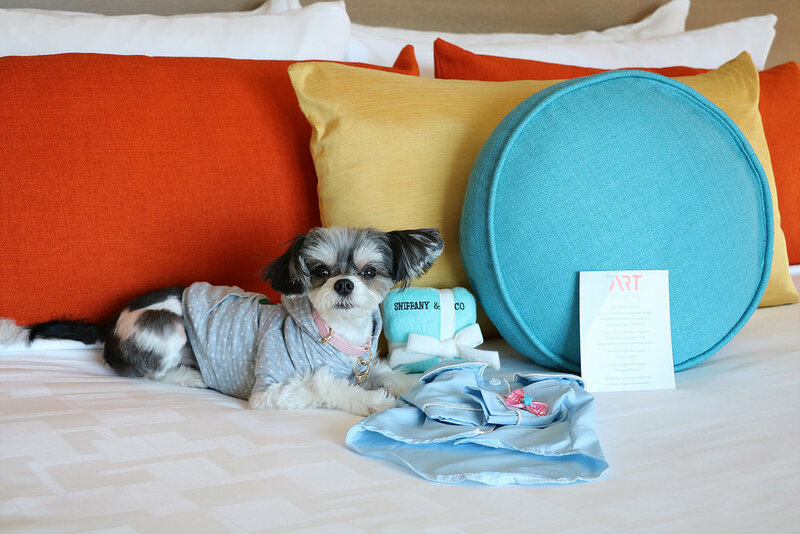 Guests are welcome to bring their furry friend (up to 80 pounds) at no fee! The modern rooms are spacious, impeccably clean, with the latest technology and state of the art features for humans. I was jealous of my human's comfy slippers, spa shower and jacuzzi bath tub! For the diva pooches like me, you are welcomed and provided with a plush, stylish dog bed and fancy dog bowls! I don't know if all the rooms have this, but my room had a fancy windowsill area designated for my bed and bowls. I absolutely loved getting up every morning, looking out the window at the hustle and bustle of Denver and relaxing in the sun! They also have special “bacon infused water” that you can request, because …duh…what dog wouldn’t want to drink water that tastes like bacon????? Other signature amenities include a daily social hour from 3pm-6pm and complimentary popcorn, old fashioned candy, water and coffee in the “living room “ daily! The outdoor roof top space has incredible views and offers a cocktail menu humans can enjoy, while us furry folk can sip on water , bask in the sun and nap our troubles away. Here I am posing (not sipping) on the Art's signature "Jackson Pollack" Cocktail! 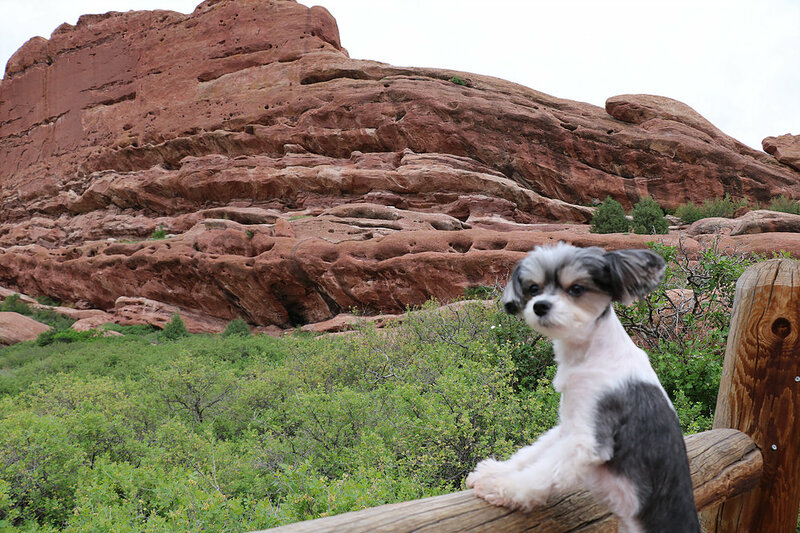 My favorite excursion was the Red Rocks Park! It is dog friendly with lots of different hiking trails! I got my paws dirty, got to explore and smell tons of new smells! I also met a lot of new furry friends on my hike! Make sure you stay on the traiL, on your leash, and bring plenty of water! Other fun activities include the historical Molly Brown House, the capital of Denver, and everywhere you turn there is another creative wall mural for a photo op! Overall, The Art, A Hotel is not to be missed if you happen upon the Mile High City!! If you haven't yet, check out my Video Vlog of my stay above, and check out even more photos below!